ta��s chef Liu Wena��s day off but hea��s graciously agreed to put off his exploration of Phoenix MarketCity to chat with me. 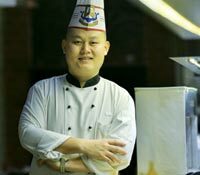 The 27-year-old from Beijing moved to Chennai three months ago to head the Chinese kitchen at ITC Grand Cholaa��s Pan Asian. 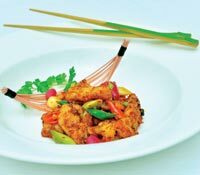 The restauranta��s menu is having an overhaul and hea��s come from ITC Dwaraka to add Sichuan and Hunan flavours to the new menu here. 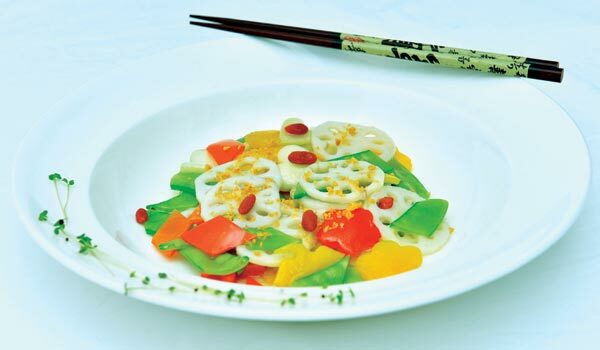 a�?Sichuan is spicy and has many different flavours. Hunan is spicier still,a�? he grins, while chef Ashish Singh, who heads Pan Asian, delights in some gentle ribbing of his colleague. Wen is learning English, so communication can sometimes be a matter of charades or Google translate, but the common language of cooking frequently takes over. Meanwhile, Singh draws our attention to the overhauled sushi and sashimi menu, with fish coming directly from Japan and details real foodies would care for a�� like upgrading to the premium koshihari rice and sourcing their chillies from Sichuan. Having also worked with Wen on fine tuning existing dishes, he recommends the range of dim sum, lobster in XO sauce and roast leg of lamb from the Chinese menu, and the wasabi prawns and grilled Chilean seabass from the Japanese menu. New ice creams and sorbets have been added, and we love the raspberry with black pepper ice cream and the mango and chilli, as well as the beetroot and ginger sorbets.